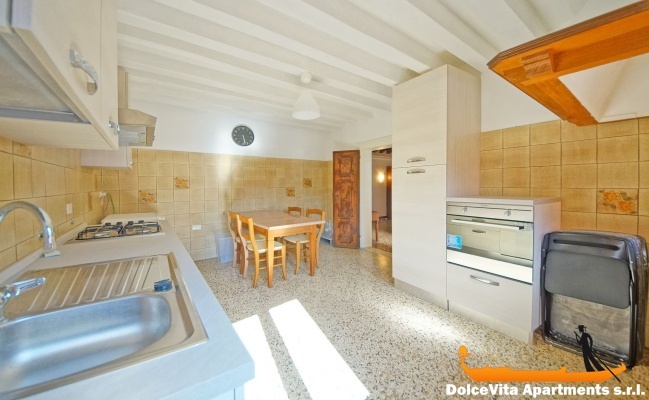 Apartment N. 344: It can accommodate up to 9 people, it is rented from 325 € per Night (not per person). 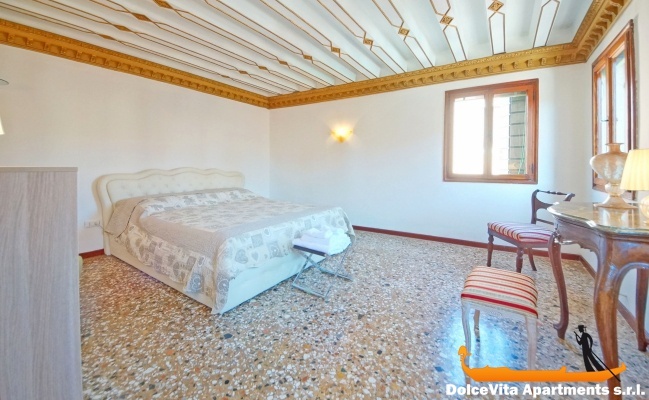 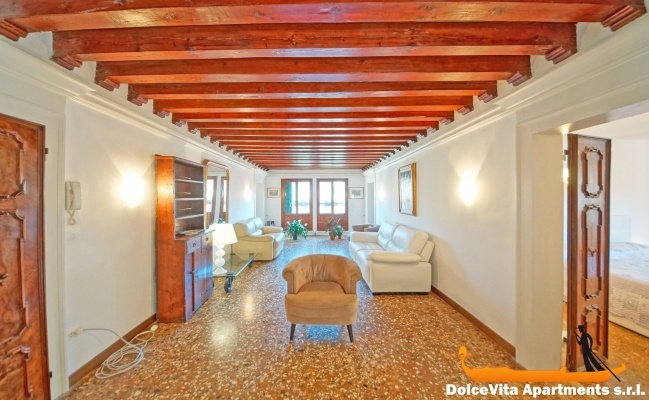 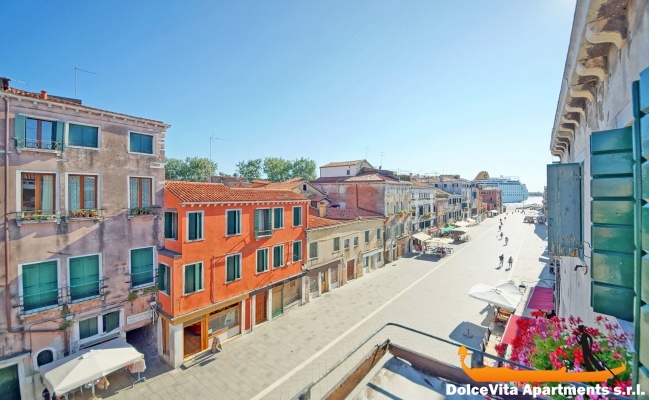 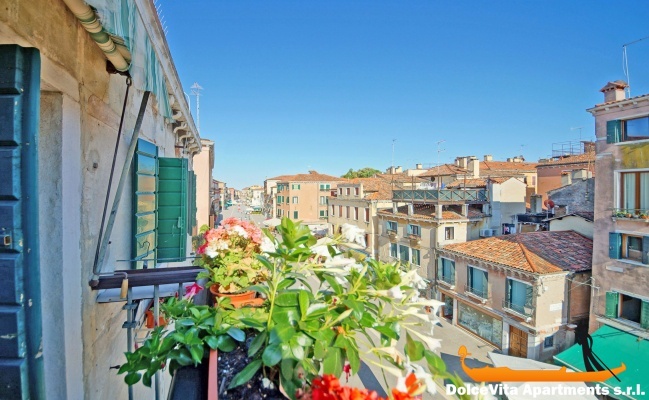 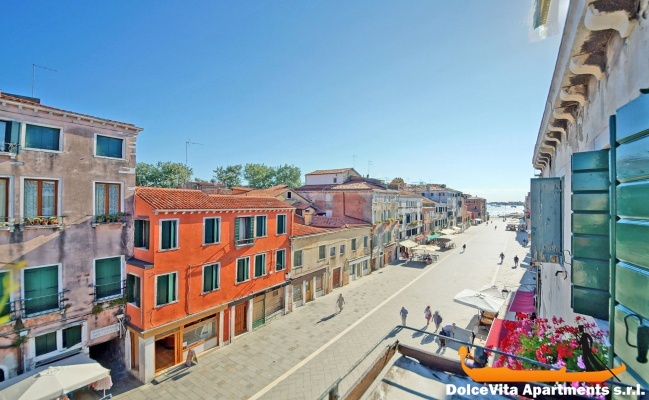 Apartment in Venice biennale with 4 Bedrooms: Apartment overlooking the canal, 500 meters from the Biennale Gardens, in the center of Venice, in the Castello area. 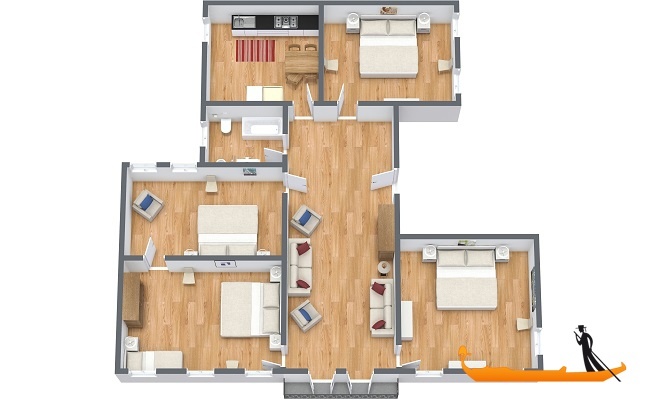 The apartment is on the third floor and it has a living room, a kitchen, 4 bedrooms and a bathroom. 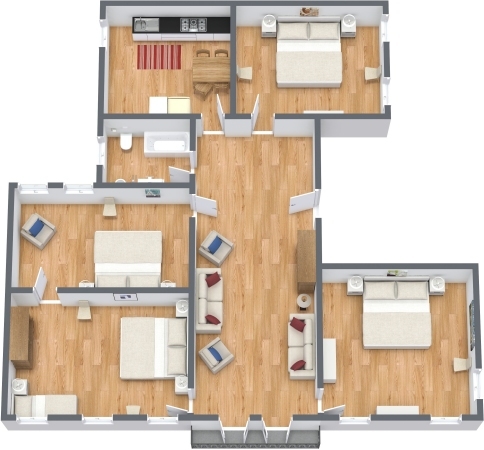 In total it can accommodate up to 9 people. 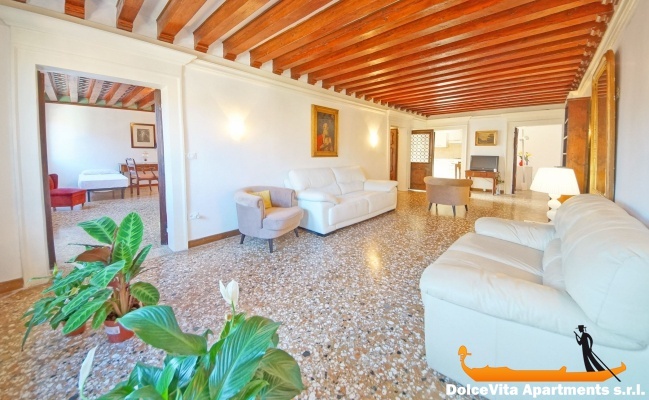 With a beautiful beamed ceiling, this apartment offers a wide range of facilities including: Wi-Fi, washing machine, dryer, satellite TV. 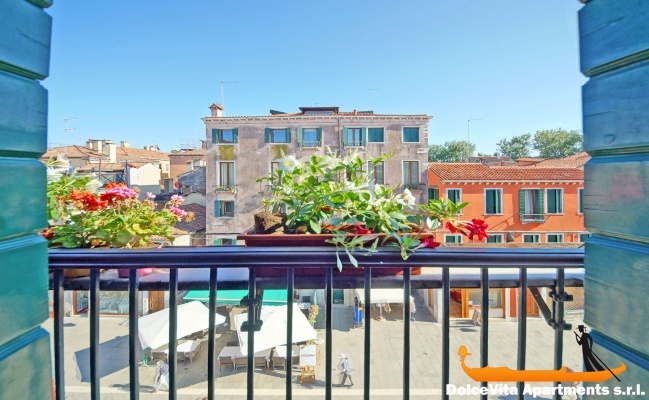 There is also a nice terrace. 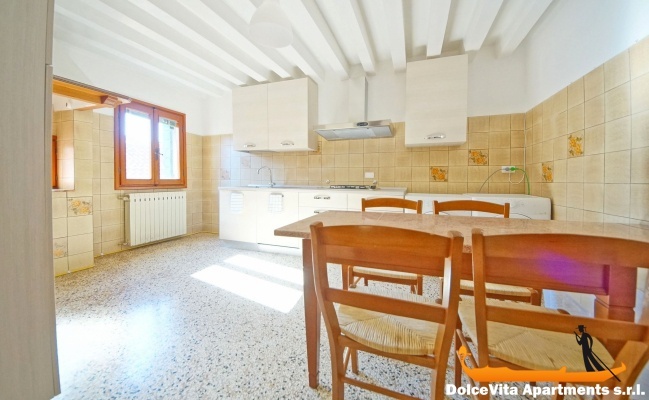 The apartment is equipped with towels, sheets and blankets and for families with small children, there is also a high chair. 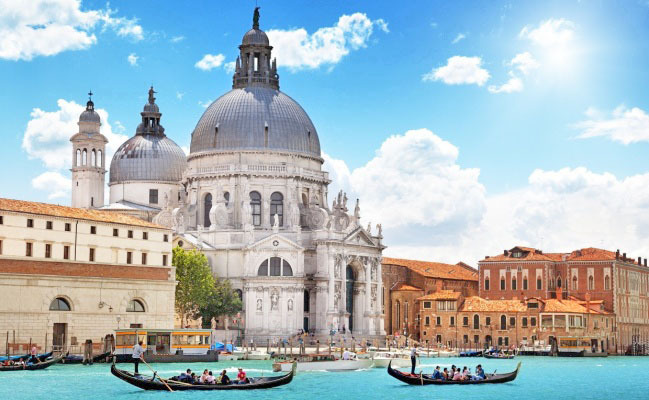 As for traveling, in less than 10 minutes on foot, you can reach the beautiful Arsenal of Venice and Saint Mark's Square in 15 minutes. 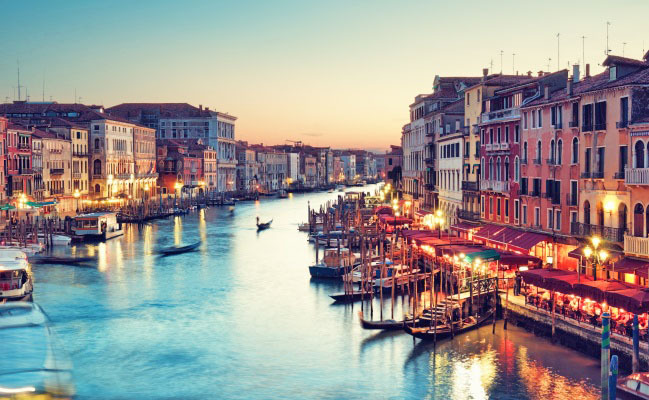 To reach other parts of the city and the lagoon, you can enjoy the vaporettos that travel along the canals of Venice. 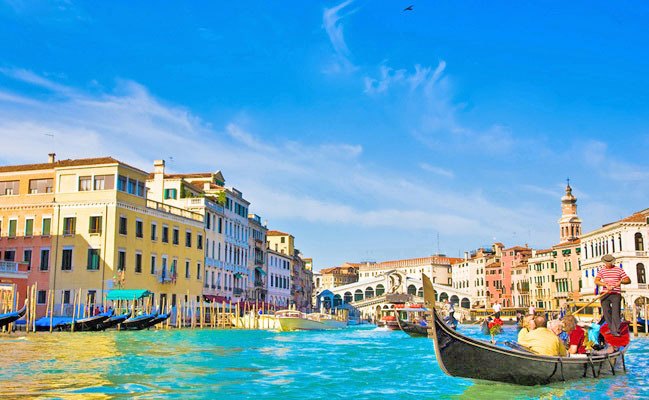 The stop of the vaporetto near the apartment is 'Giardini', which is about 500 meters away.